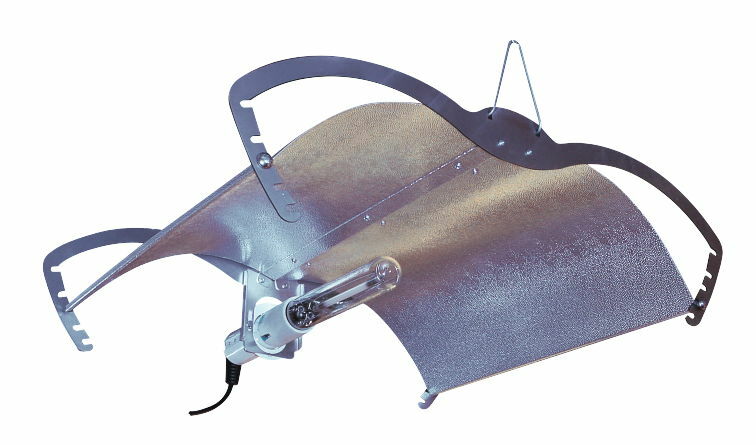 The Adjust-a-Wing Enforcer has quickly established itself as a fantastic alternative to the ultimate reflector – the original Adjust-a-Wing Avenger – especially when used in conjunction with a high quality bulb and ballast. 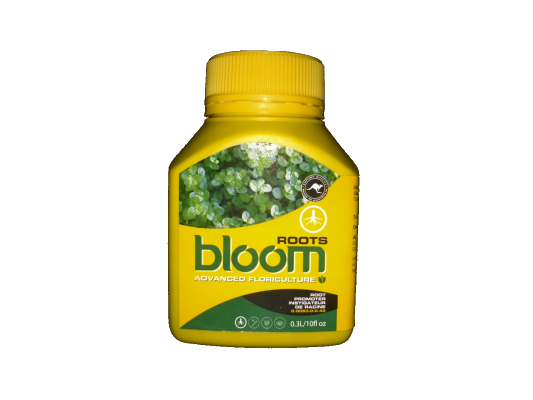 To enable you to enjoy the best results possible we’ve put together this superb selection of attractive and affordable systems! 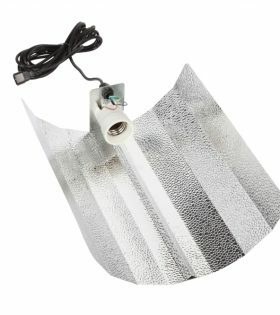 Choose from the Proxima, Hobby and Exolux Dimmable range of ballasts, then set your expectations high because the Adjust-a-Wing Enforcer Reflector knows how to make every lumen count that’s produced by the supplied dual spectrum lamp! Their reflective curves are formed on assembly via a unique process where resistance and tension are kept in constant balance across the “wing span”. 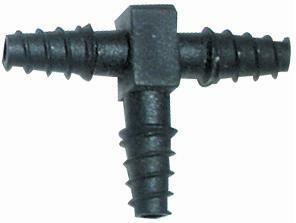 From this relationship, strength, rigidity, and (best of all) adjustability are born without the need to incorporate bulky reinforcements or gross mechanisation. While resistance is greater than and opposite to tension, smooth precise dual – parabolic curves are formed that reflect light in efficient uniform patterns. 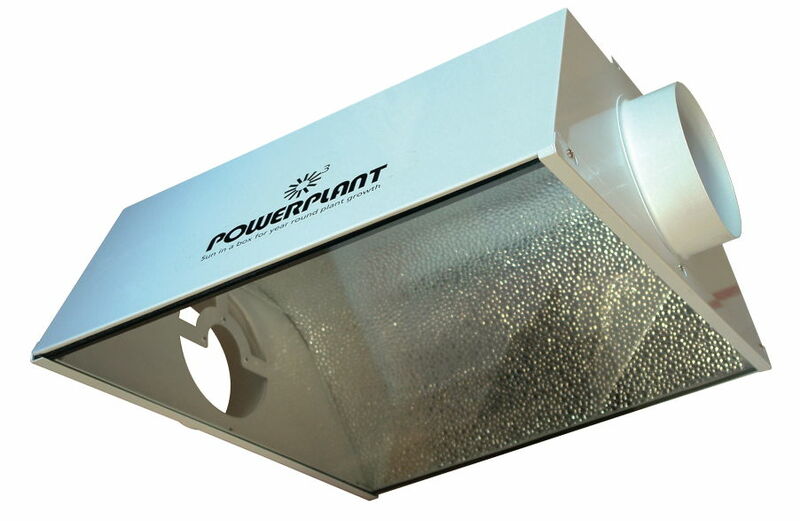 This “minimalist” design does not require reflector end-plates to maintain its shape, therefore airflow around the lamp and wings is uninhibited, significantly reducing heat build up within the reflector and the entire grow-room. 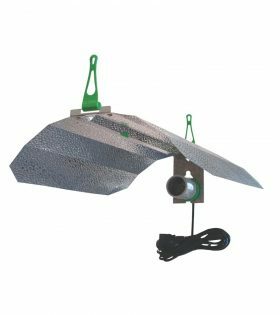 Hence the Adjust A Wings are capable of producing a “cool” broad even spread of light, with unmatched power and efficiency, for a wide range of applications. 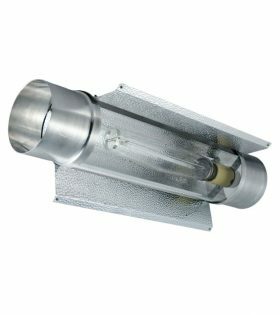 The Super-Spreader (light spreader, heat deflector /dissipater) is a “v – shaped” perforated metal plate designed to fit just below horizontally mounted HID lamps, and reflect excess light and heat away from the “hot spot” towards grow-room extremities. 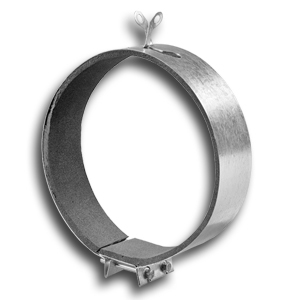 At the same time a balanced portion of light is allowed to pass through the perforations to maintain uniformity across centre and edge portions of the growing enclosure. Removing the hotspot and spreading it strategically can deliver incredible benefits. 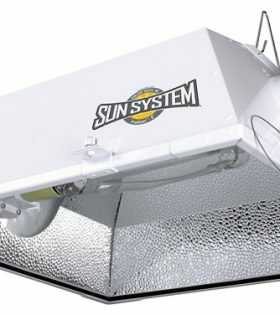 Lights can be placed closer to plants than was ever dreamt of, area covered by each light is increased, light power and penetration is multiplied, and heat is greatly reduced. Yes it’s all true! 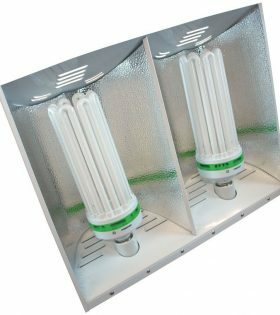 1000w or twin 400w or 600w lamps. 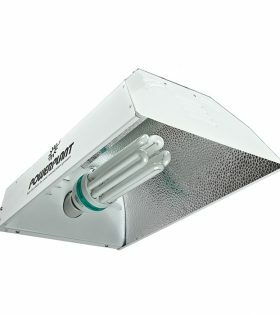 Increase Yield per Lamp up to 50%. Reduce heat, Save power. 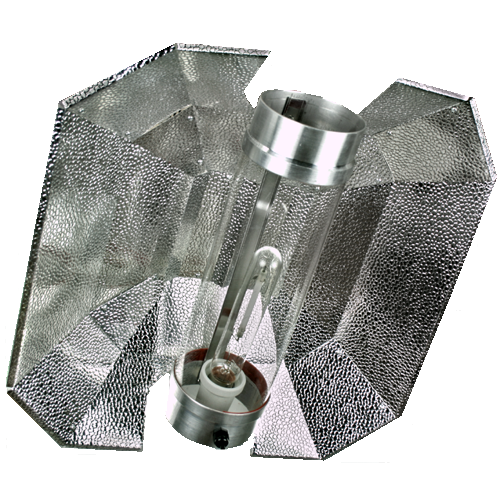 Adjust A Wing Enforcer Medium, twice the power and efficiency of most other reflectors in the global market. 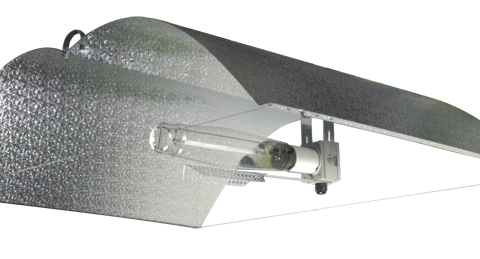 Has the capability of holding two compact fluorescent bulbs, either 125w or 250w. 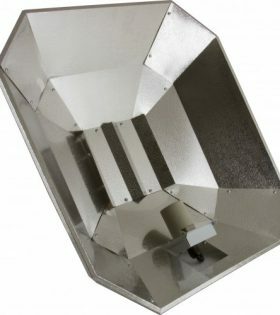 A micro dimpled aluminium symmetrically designed horizontal reflector with vented top plate to disperse heat build up.